The Synthesizer Sympathizer: The Arturia/Moog Partnership ends; Does this mean Moog Plugins are on the way? The Arturia/Moog Partnership ends; Does this mean Moog Plugins are on the way? 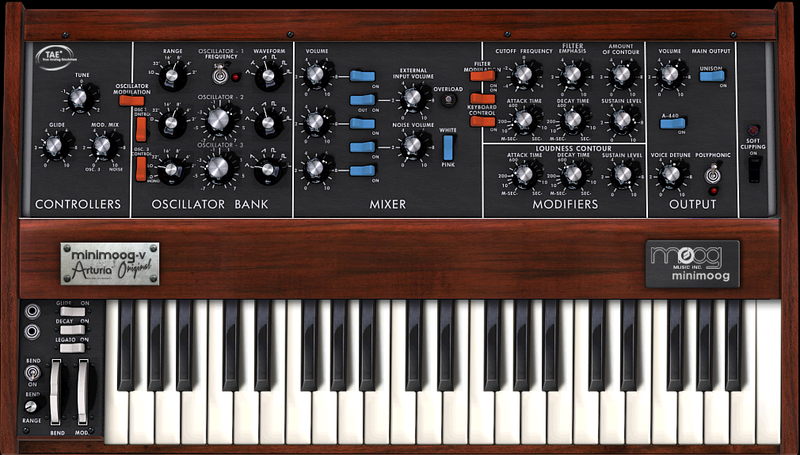 Last week, Arturia released a free version of their legendary MiniMoog plugin on Facebook and through their site. I've been thoroughly enjoying it, but it begs the question: why release one of your products in its almost complete form for free? The 'occasion' for this seems to have been World Music Day, but also the ending of a partnership between Moog and Arturia. Arturia has said that they will release the same plugin in the future but with a changed name, which likely means that Moog didn't want to keep their partnership going. Why not? File this under "pure speculation", but my guess is that Moog is not far away from their own digital plugins of their popular synths. The Animoog and Filtatron have been hits on the iPad and iPhone, so they obviously have an incentive to take it further. They have the programming abilities in house to take care of programming sound apps, and they've released a plugin controller (no sound, however) for the Little Phatty so it can be used easily with a DAW. The user interfaces of the Moog apps are outstanding, which is a huge selling point. There's also a market of musicians who want authentic, "from Moog" sound, but don't have the pocket change to buy a MiniTaur or Slim Phatty. Furthermore, Arturia has stepped into Moog's territory by creating the MiniBrute, which no doubt is in direct competition with at least three of Moog's synths. The last big factor is that Moog is a synth company whose hardware isn't cheap, but they can easily hit a whole new spectrum of buyers in the sub-$200 range with software. 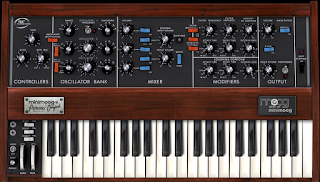 I know that seems vague, but I would put money on a Moog plugin for your Mac or PC coming down the pipeline-- perhaps very close to the MiniMoog in terms of style. Maybe we'll even see some digital versions of the massive collection of MoogerFoogers that exist (because I can't quite see myself dropping $700 on a delay pedal any time soon). What would you like to see from Moog in terms of plugins?